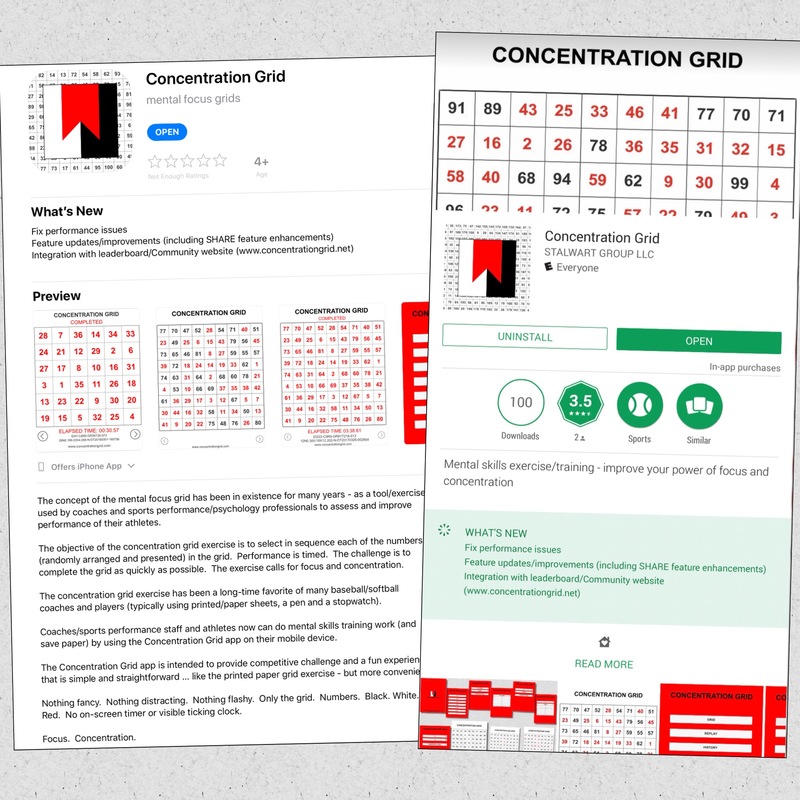 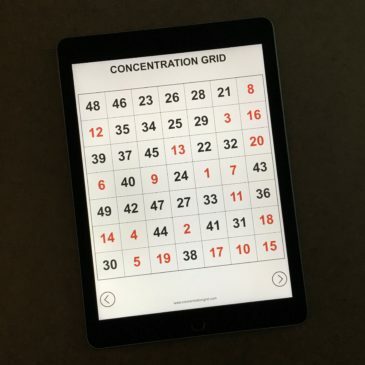 Track progress/performance as you practice and improve your power of focus/concentration using the HISTORY function of the app. 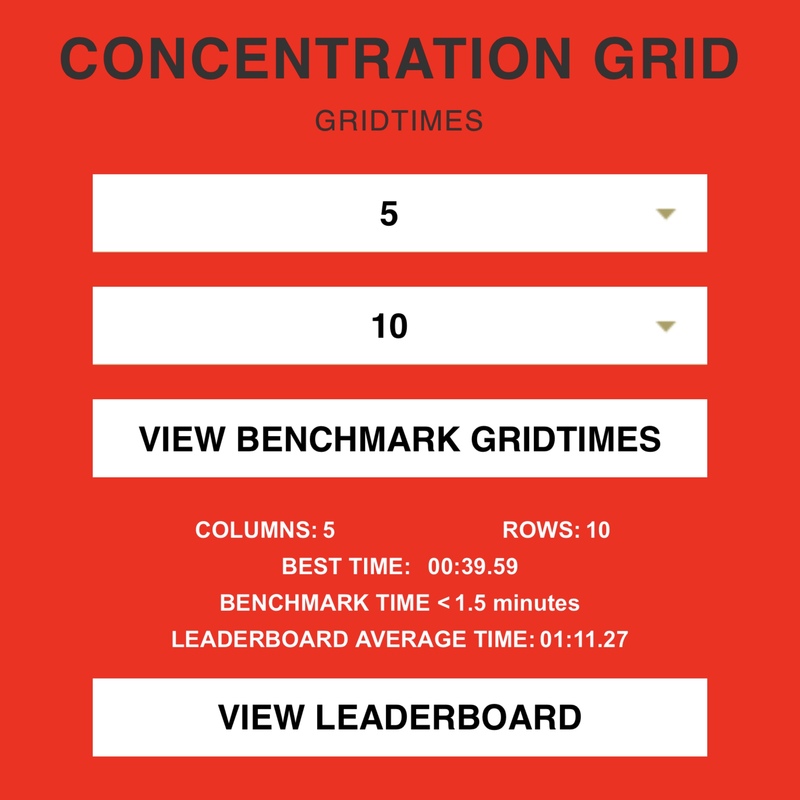 Compete with yourself; compete with your teammates and others – become a master. 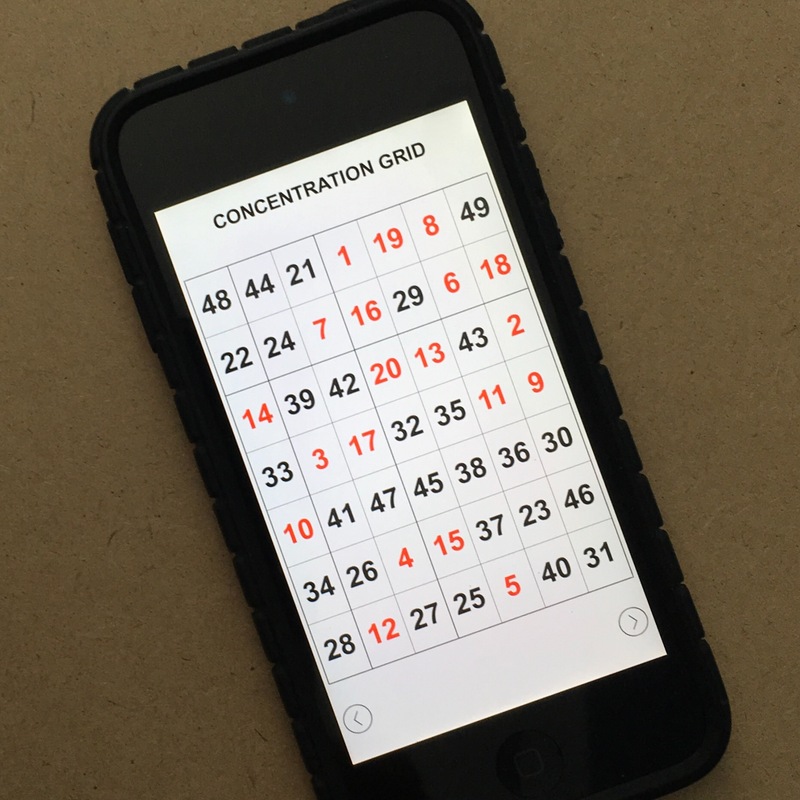 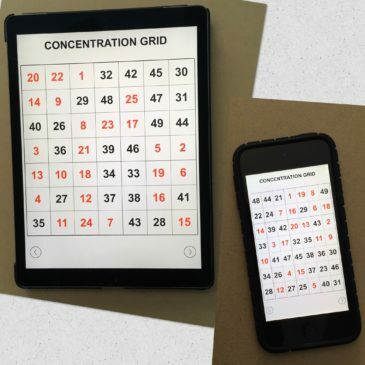 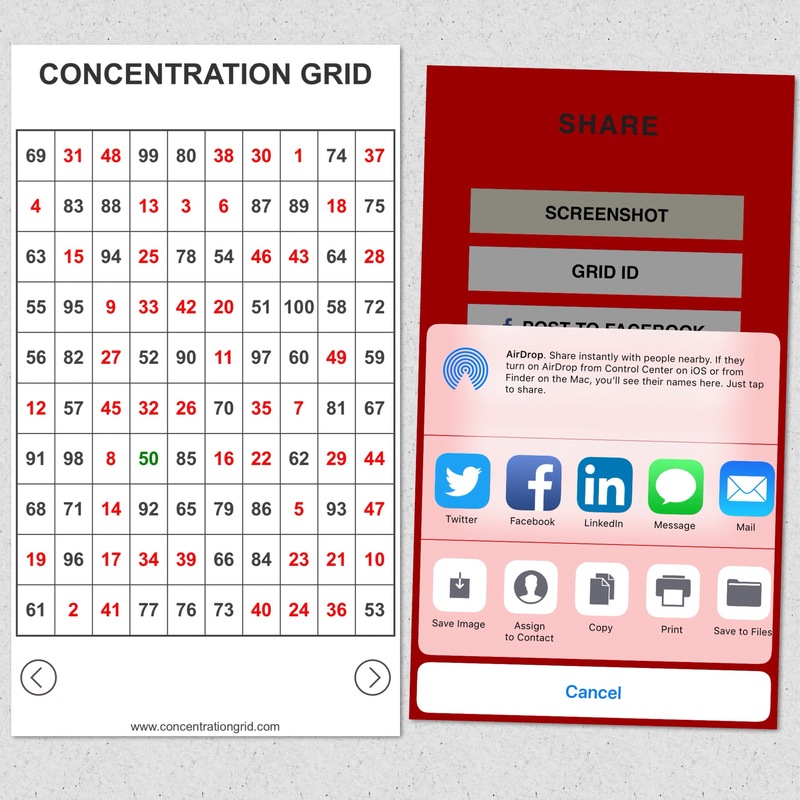 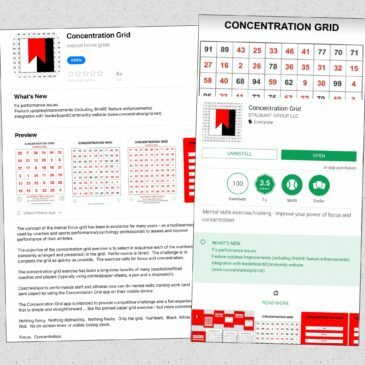 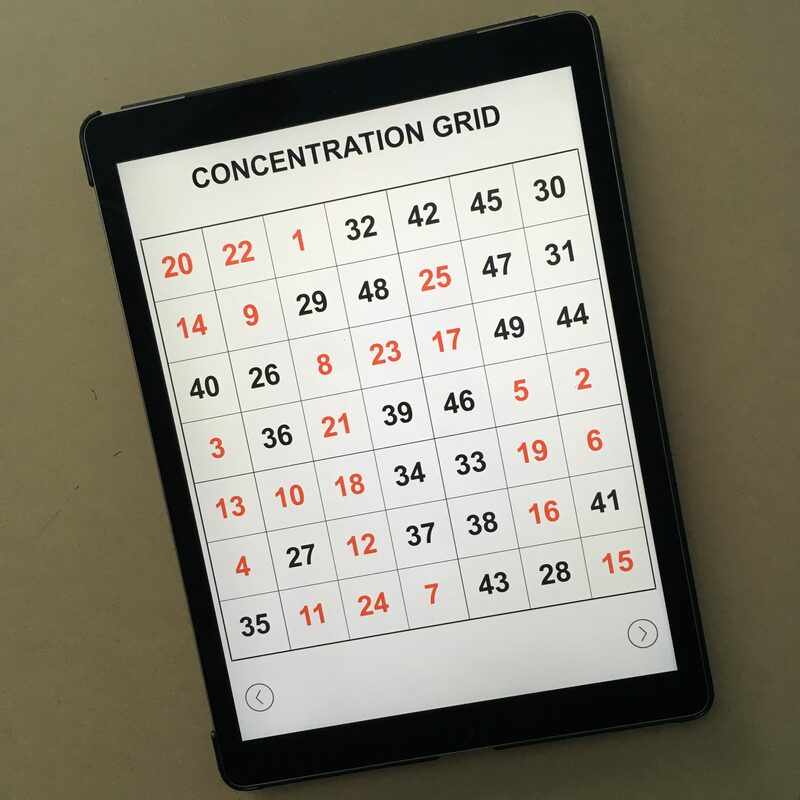 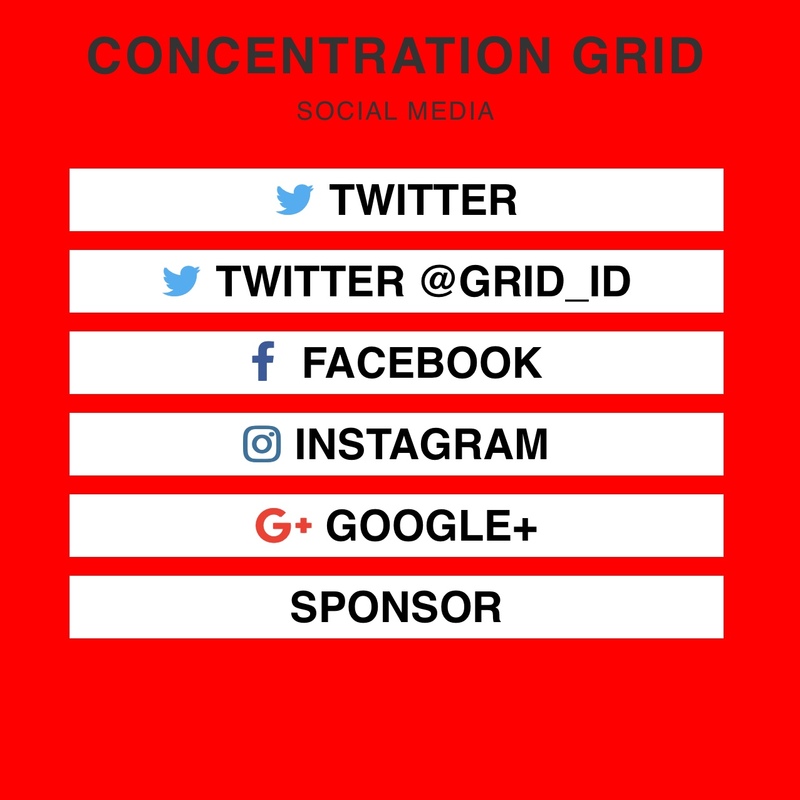 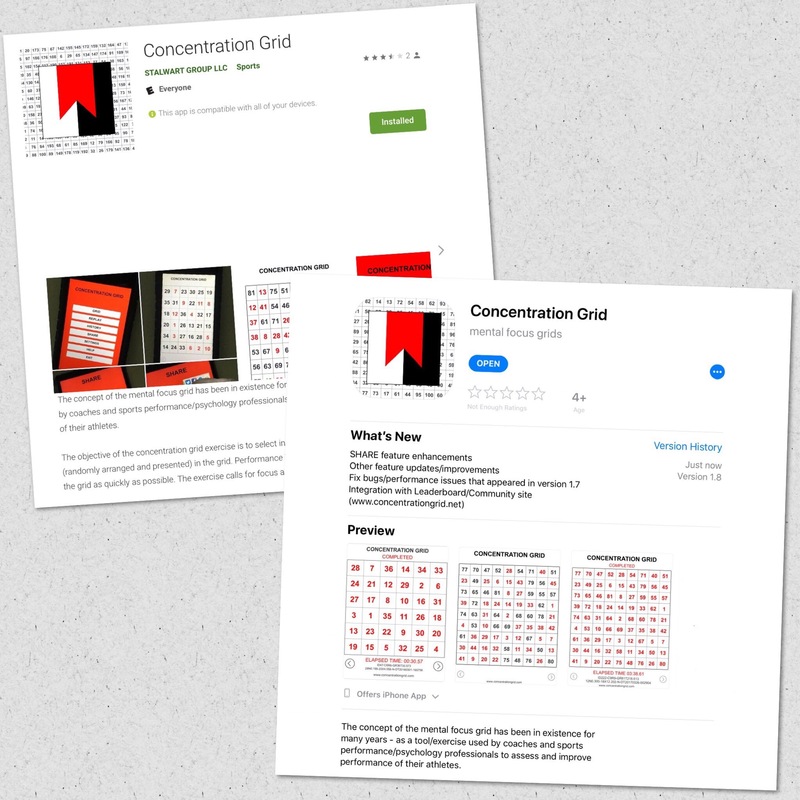 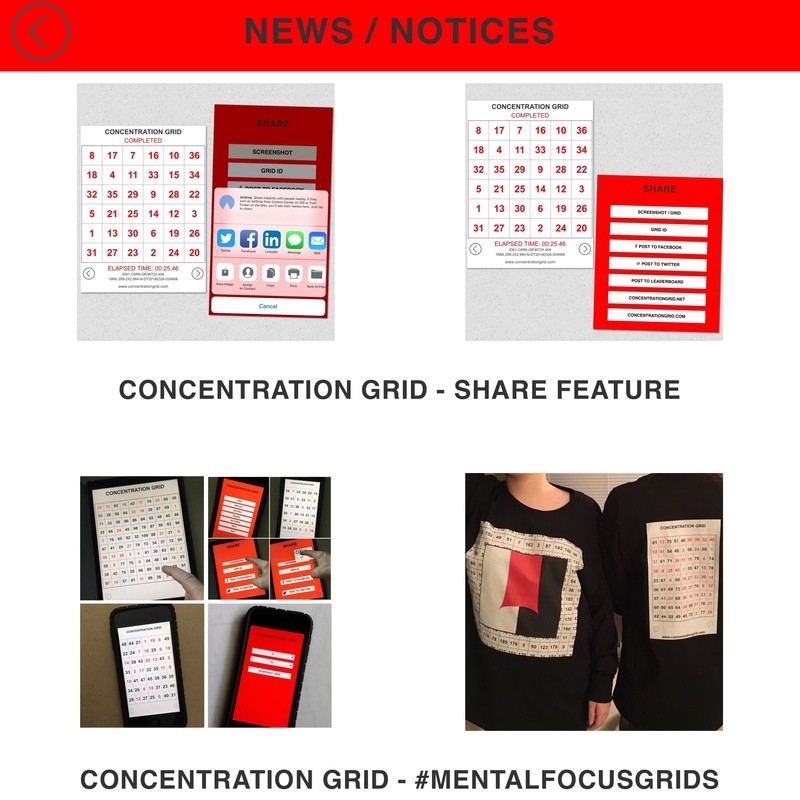 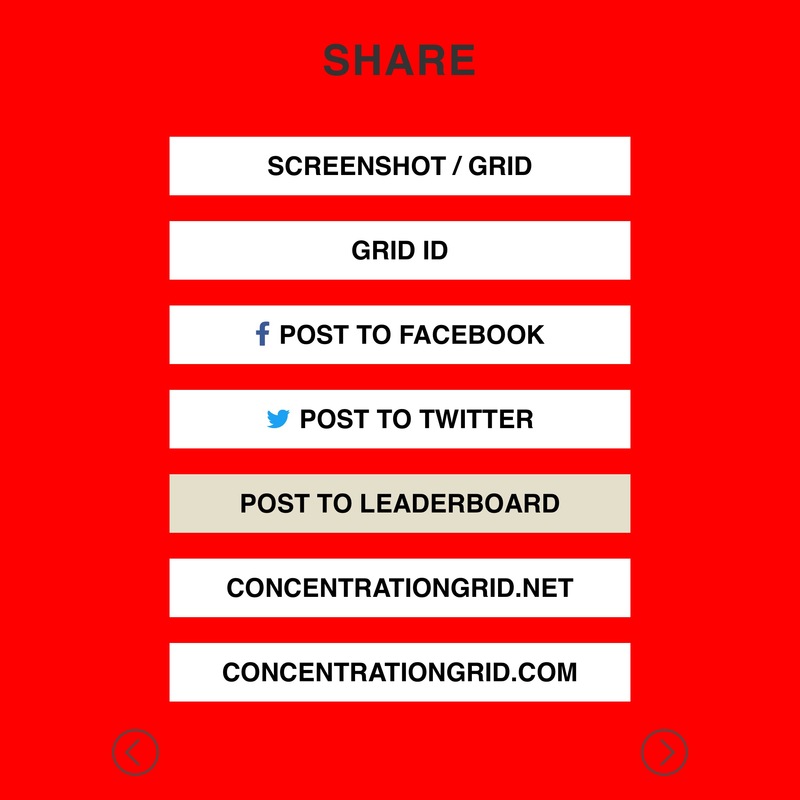 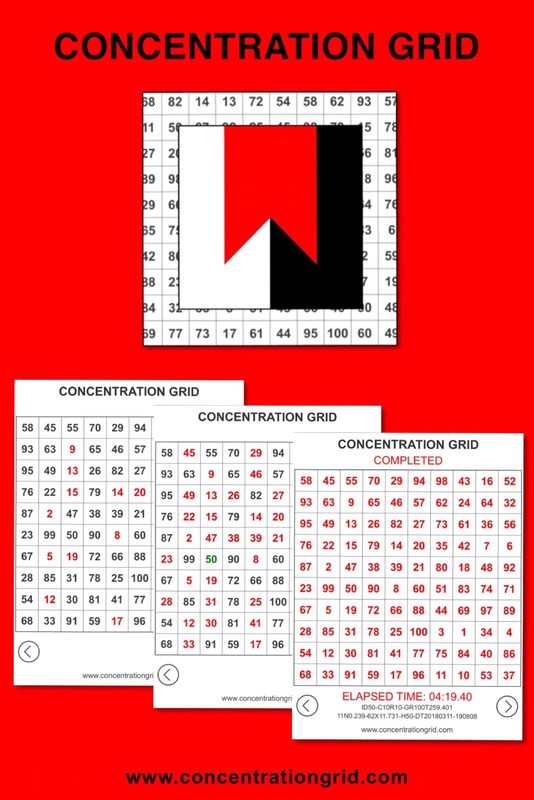 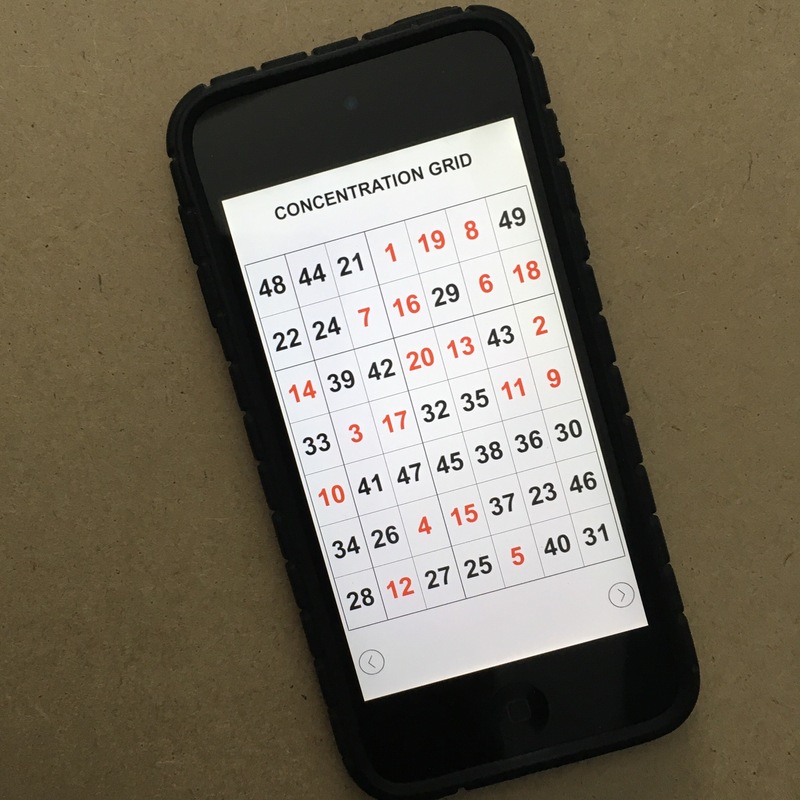 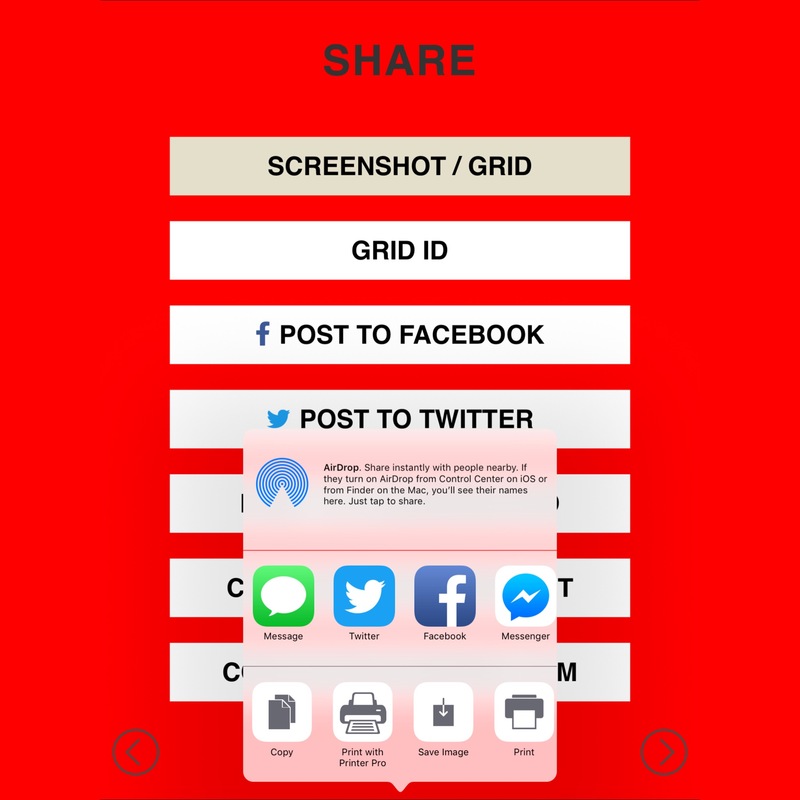 Share your best grid times by email/text messaging or social media (Facebook, Twitter, Instagram, Google+) – post a screenshot of your completed grid/grids using the SHARE function of the app (or web gameplay).